CNN’s Randi Kaye interviewed several supporters of President Donald Trump prior to his Florida rally Wednesday night about their thoughts on Trump’s handling of the migrant caravan headed to the U.S. and his desire to end birthright citizenship. Kaye began by asking different people why they thought the president was discussing the caravan now despite them being hundreds of miles away. “When you watch that caravan and you see them carrying the flag from their country, that is called an invasion,” Reba Fisher said to Kaye. “Would you rather be safe than sorry? Would you not rather have warning to get out of a hurricane’s way if they know it’s coming?” Paul Blust stated when Kaye asked him the same question. 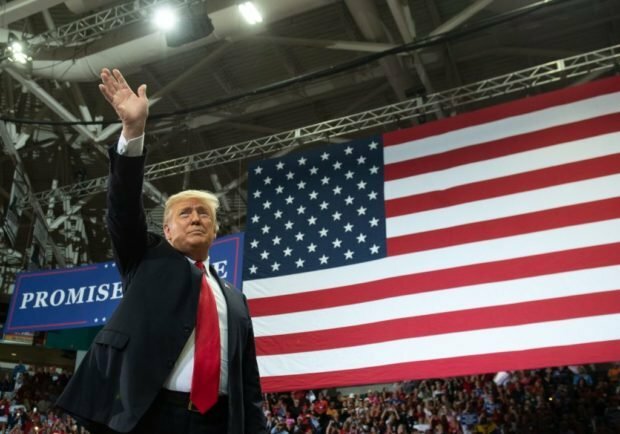 Kaye then altered the focus of her questions and began discussing Trump’s plan to end birthright citizenship with the Trump supporters waiting outside his rally. “Even though his own Speaker of the House, Speaker of the House Paul Ryan, says that he can’t do it with just an executive order? It has to be a constitutional amendment, be voted on by Congress and the states?” Kaye followed up. “I think Ryan is absolutely wrong,” Harris countered.